The small 11" Stafford Doll is jointed at the shoulders and elbows. She pairs perfectly with other small dolls, a 21" doll, and you. The large 21" Stafford Doll is jointed at the elbows, shoulders, and knees. The doll can even sit upright on her own. A variety of black patterned fabrics are beautiful canvases for creative hairstyles. As with all Stafford Dolls, patterns are available in a limited number. 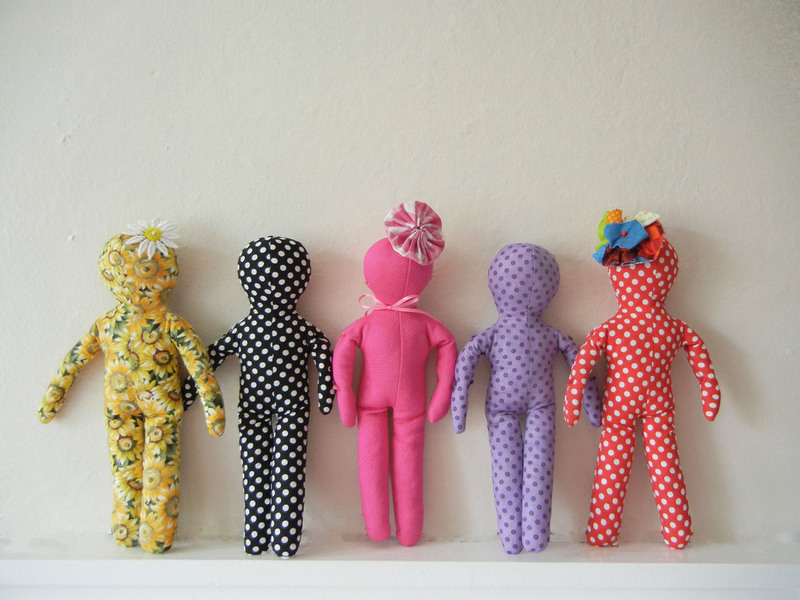 Pink Dolls provide cheerful support in two sizes. We've been told they're “just good company” and when you’re not feeling so hot (pink) yourself. 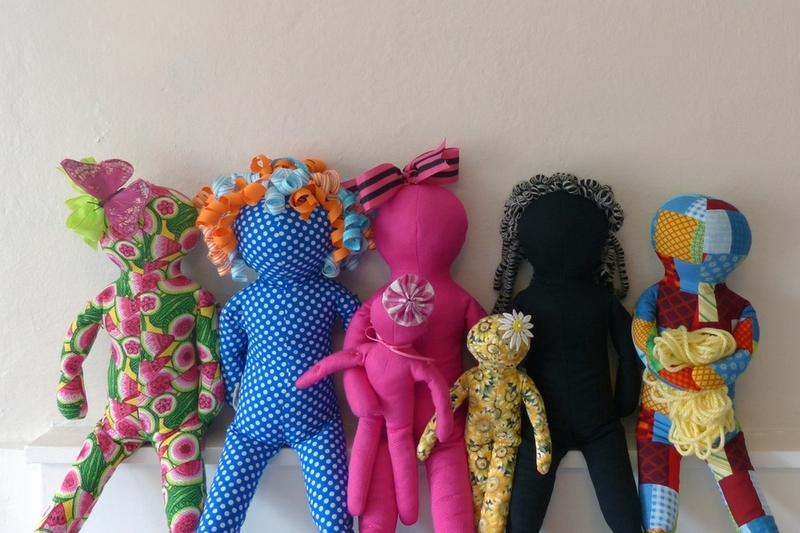 Stafford Dolls are available from our Etsy Shop. For even more fun, come see us in person if you are in the Savannah, Georgia area! To set up an appointment at the Doll Studio, email us here.